Oh, god of superstition—why me? why this sinister aura of ill will? and on the airline my row cannot be found. when Friday and I come hand in hand. they truly do yearn for me. This poem first appeared in Verse Wisconsin's Museletter (Fall, 2012). Janet Leahy’s poems have been published in a variety of print and online journals and have been featured in exhibits at The Clearing, a folk school in Door County, Wisconsin. 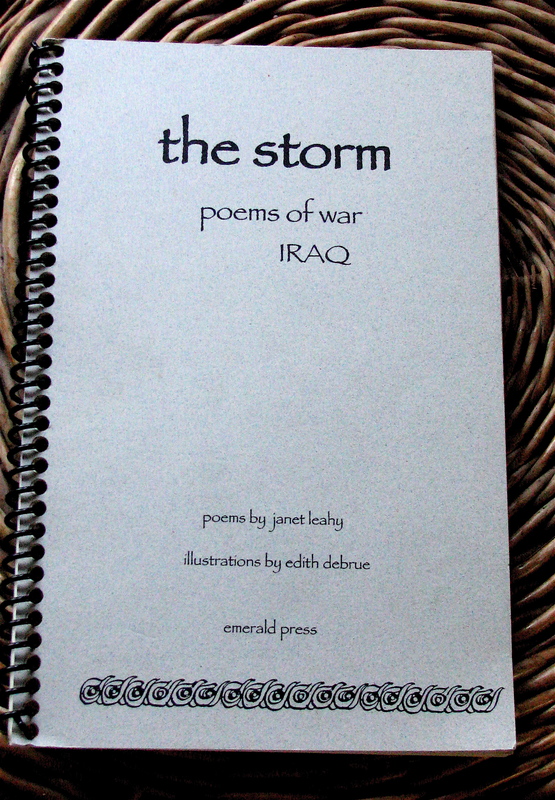 She has participated in ekphrastic poetry exhibitions in Oconomowoc, Stevens Point, and Minocqua, and is the author of two collections of poetry, The Storm: Poems of War, Iraq, and Not My Mother’s Classroom, the latter based on her many years of teaching in Milwaukee public schools. Janet enjoyed being part of the YDP poetry reading at Chicago's After-Words Book Store last year. When she’s not busy with poetry, she enjoys sharing her garden with deer which are especially fond of the large blooms on her Annabelle hydrangea. Ha! Came to this late and didn't know there was a word for this. What fun, Janet. Very clever poem. Perfect! Witty and true. Good work Janet. This morning I thought, Friday the 13th came on Wednesday this month. As a 13 on a Friday 13th birthday girl I especially love that you found a positive twist, Janet! Judy W.
A delightful poem! What a clever point of view! I am dazzled! For years, I thought I was the only person who even knew what triskaidekophobia even means!!! Well done, Janet. If you have to be known for something, why not a superstition? Power Ball today, the 13th. I feel like a 12 year old. Just the sample I need for our UUCW writing group. the prompt this time around is to write ourselves into a metaphor. Thanks for this happy work. Always fun. A good start to a day filled with 3 year olds. Clever and well-written. Enjoyed this poem. I love it Janet. Clever, different, well done. The unusual perspective does it. I especially love the last line. Thank you for this.